Mary, Queen of Scots became Queen of Scotland at six days old. 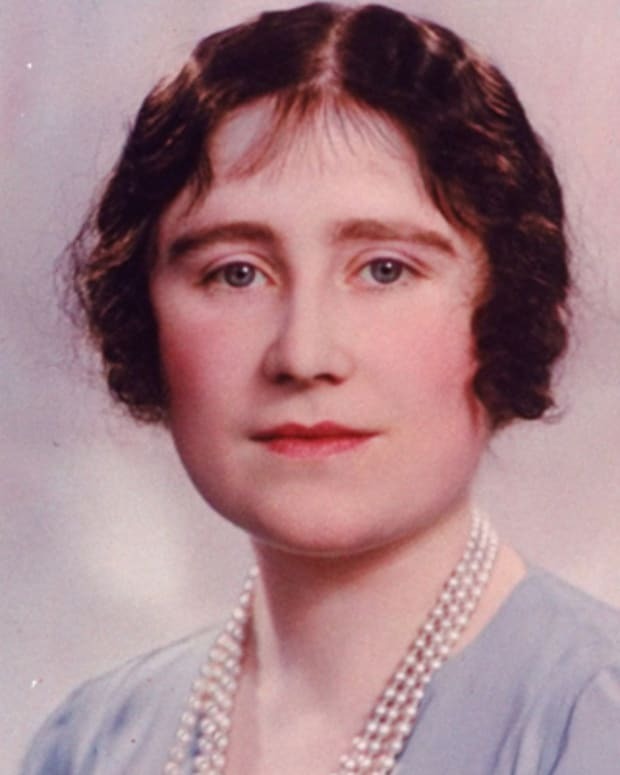 In her lifetime, Mary married three times — her final husband causing her downfall. 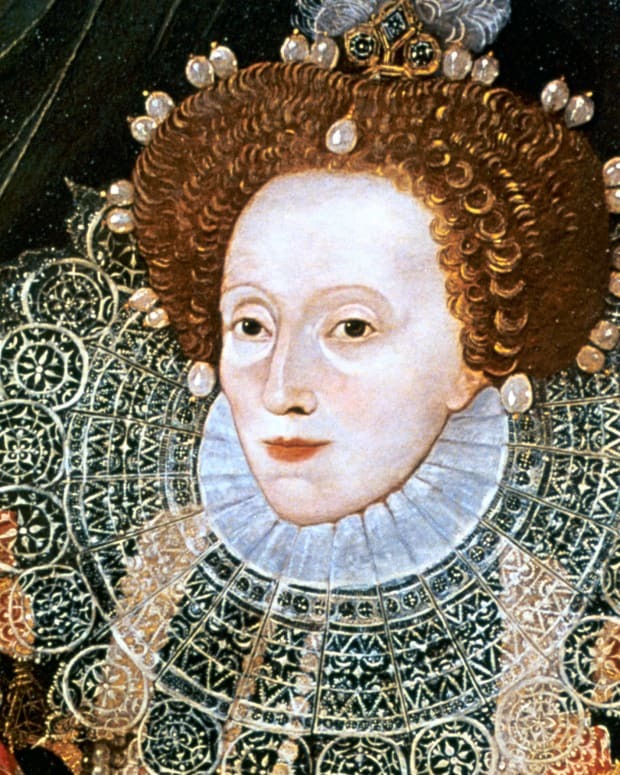 Her cousin, Queen Elizabeth I held her captive for 18 years and eventually executed. In 1542, the Scottish throne went to Mary, Queen of Scots, a controversial monarch who would also become France's queen consort and claim the English crown. 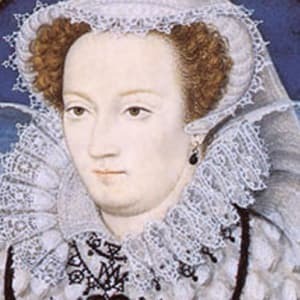 Mary, Queen of Scots (December 8, 1542 to February 8, 1587), also known as Mary Stuart or Queen Mary I, was the queen of Scotland from December 1542 until July 1567. The death of Mary’s father, which occurred just days after her birth, put her on the throne as an infant. 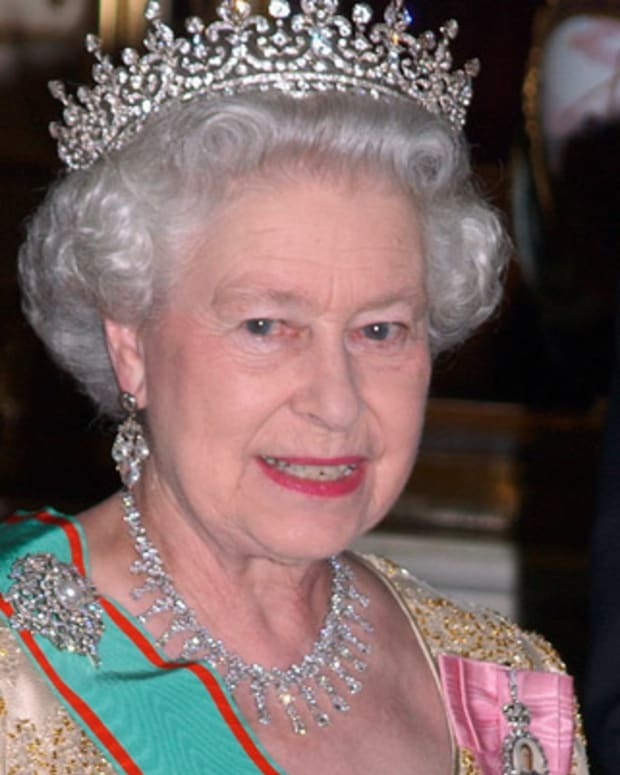 She briefly became queen consort in France before returning to Scotland. Forced to abdicate by Scottish nobles in 1567, Mary sought the protection of England&apos;s Queen Elizabeth I, who instead had her arrested. Mary spent the remainder of her life in captivity until her 1587 execution. Centuries after her death, Mary continues to be an object of cultural fascination. The 1971 film Mary, Queen of Scots starred Vanessa Redgrave as Mary and Glenda Jackson as Queen Elizabeth I, with Timothy Dalton as Henry Stewart, Earl of Darnley. In 2013, a Swiss-French movie was made on Mary’s life. And the 2018 movie, Mary Queen of Scots, starred Saoirse Ronan as Mary and Margot Robbie as Queen Elizabeth I. Mary’s life also inspired the 2013 to 2017 television show Reign on The CW. When Did Mary, Queen of Scots Reign? 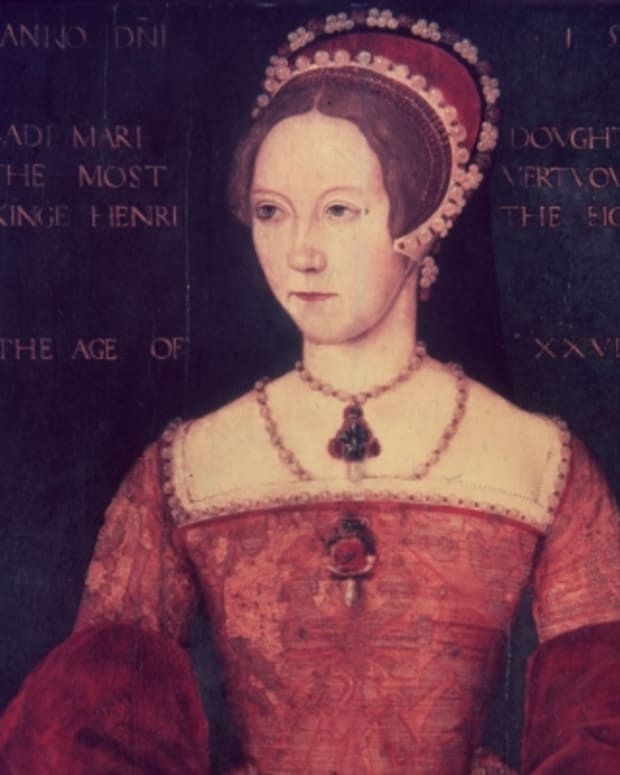 Mary Stuart was the Queen of Scotland from her father’s death in December 1542 until she was forced to abdicate the throne to her infant son James in July 1567. Mary, Queen of Scots was the daughter of King James V of Scotland and his second wife, Mary of Guise. Mary’s great-grandfather was Henry VII, making Henry VIII her great uncle. Queen Elizabeth I was Mary Stuart’s cousin. On June 19, 1566, Mary, Queen of Scots gave birth to the future James VI of Scotland and James I of England. James was Mary’s one and only child, conceived with her second husband. Mary, Queen of Scots was married three times, with the last union eventually leading to her downfall. In 1558, Mary, Queen of Scots married Francis, the eldest son of French King Henry II and Catherine de Medicis. In 1559, Mary&apos;s husband was crowned Francis II, making Mary, Queen of Scots his queen consort. Unfortunately, Francis died from an ear infection the year after he ascended to the throne, leaving Mary a widow at age 18. Following her husband Francis II’s death, Mary returned to Scotland from France. By that time, in 1561, John Knox&apos;s influence had changed Scotland&apos;s official religion from Catholicism to Protestantism. As a Roman Catholic raised in France, Mary found herself an outsider. However, with help from her illegitimate half-brother, James, Earl of Moray, Mary managed to rule while creating an atmosphere of religious tolerance. In 1565 Mary, Queen of Scots gave into infatuation and married her cousin, Henry Stewart, Earl of Darnley. Mary&apos;s new husband was a grandson of Margaret Tudor; Mary uniting with a Tudor infuriated Elizabeth Tudor. Her marriage to Darnley also turned Mary&apos;s half-brother against her. Shortly after their marriage, Darnley’s ruthless ambition caused problems. In 1566 Darnley and a group of Protestant nobles viciously murdered David Rizzio, Mary&apos;s Italian secretary, stabbing him 56 times as a pregnant Mary looked on. 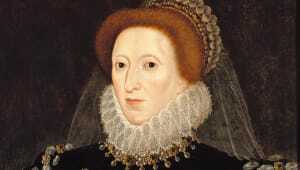 Though she gave birth to their son a few months later, she no longer wished to be married to Darnley. When Darnley was mysteriously killed following an explosion at Kirk o&apos; Field, outside Edinburgh, in February 1567, foul play was suspected. Mary&apos;s involvement is unclear. In May 1567 Mary, Queen of Scots consented to marry James Hepburn, Earl of Bothwell — the main suspect in her previous husband Darnley’s murder. 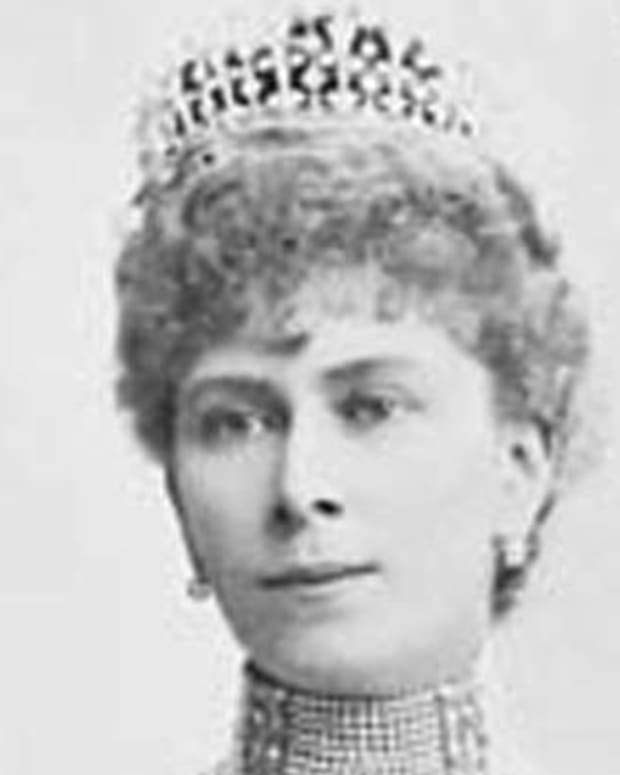 Over the years, Bothwell had become a close confidant of Mary and was said to exert great influence over her. He also had his own ambitions to become king, and he had abducted Mary and held her captive in Dunbar Castle. Mary, Queen of Scots’ scandalous marriage with Bothwell just three months after Darnley’s murder made the Scottish nobility rise against her. 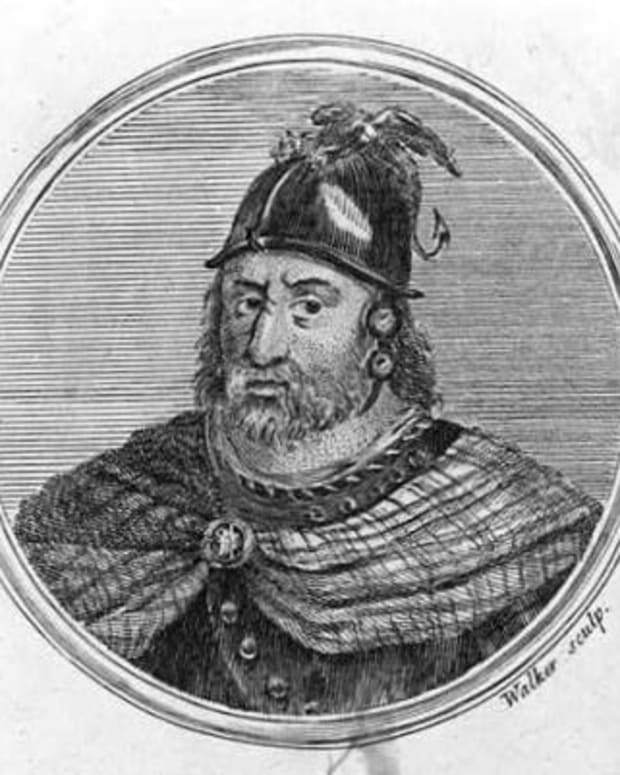 Bothwell went into exile, where he was ultimately arrested and held captive until his death. Meanwhile, Mary, Queen of Scots was imprisoned in Lochleven Castle. In July 1567, Mary was compelled to abdicate the throne in Scotland in favor of her infant son. In 1568, Mary escaped from Lochleven Castle. She raised an army but was soon defeated. 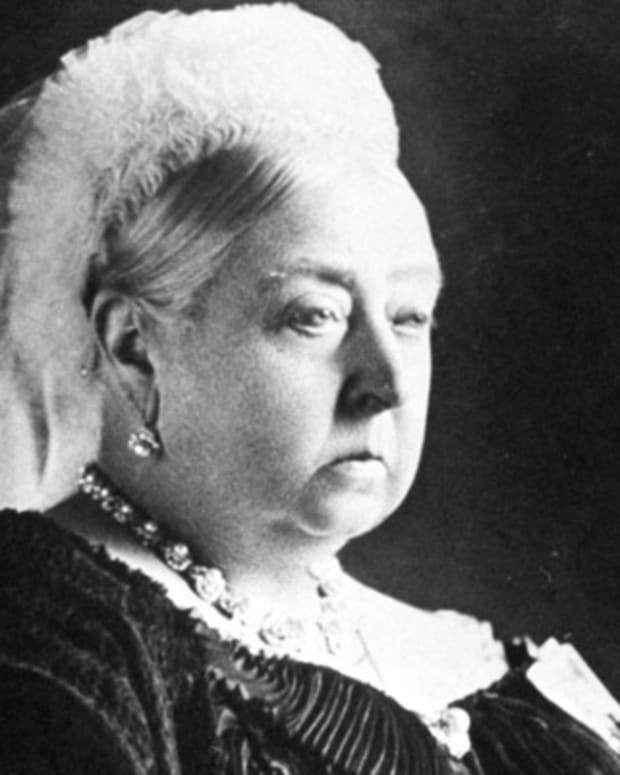 Mary then fled to England, where she sought Queen Elizabeth&apos;s protection. Instead of helping her cousin, Elizabeth imprisoned Mary. Mary&apos;s captivity would last for the next 18 years. Since Mary was the great-granddaughter of King Henry VII and herself a Catholic, English Catholics plotted to get her onto the throne by assassinating Queen Elizabeth. Mary corresponded with one such plotter, Anthony Babington. When Elizabeth&apos;s spymaster uncovered the letters in 1586, Mary was brought to trial and found guilty of treason. After Queen Elizabeth signed her cousin&apos;s death warrant, Mary, Queen of Scots was executed in Fotheringhay Castle, Northamptonshire, on February 8, 1587. She was 44 years old. Elizabeth had Mary buried in Peterborough Cathedral. After Mary&apos;s son became King James I of England, he moved his mother&apos;s body to Westminster Abbey in 1612. Mary Stuart was born on December 8, 1542, in Linlithgow Palace, West Lothian, Scotland. Mary’s father died when she was only six days old, making her queen of Scotland. Given that Mary was only an infant, her great-uncle Henry VIII made a bid for control. Her mother, however, ended up acting as regent on Mary&apos;s behalf. Mary was initially betrothed to Henry VIII&apos;s son, Prince Edward of England - the future King Edward VI. However, Scottish Catholics objected to this plan, since England had separated from the Catholic Church. When the match was annulled, England attacked Scotland in raids that became known as "The Rough Wooing." 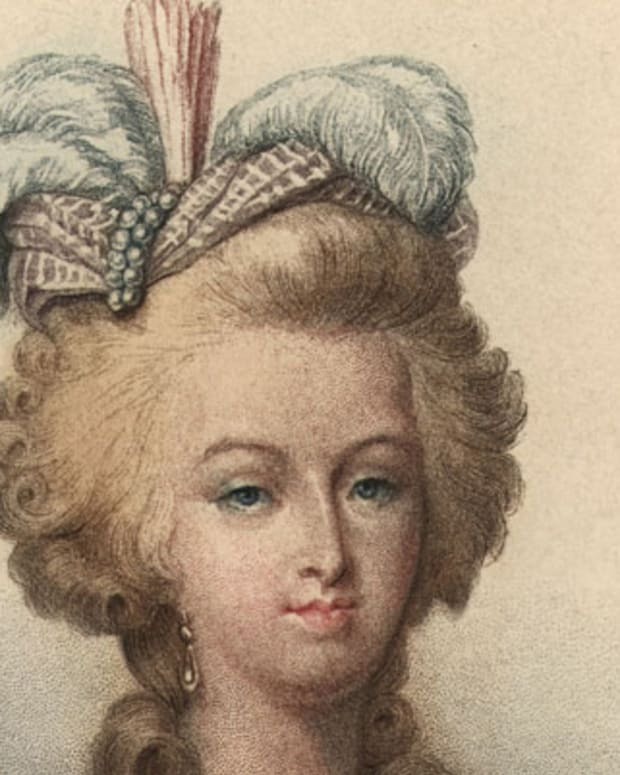 At the age of five, Mary was sent to France, where she grew up in the luxurious French court. Mary&apos;s mother was French, and the Scots had a longstanding alliance with France, so Mary was betrothed to the four-year-old French heir. In November 1558, Henry VIII&apos;s daughter, Elizabeth Tudor, became Queen Elizabeth I of England following the death of her sister, Mary Tudor. However, many Roman Catholics considered Elizabeth&apos;s rule to be illegitimate, as they did not recognize the validity of Henry VIII&apos;s marriage to Elizabeth&apos;s mother, Anne Boleyn. As the great-granddaughter of King Henry VII, Mary had a strong claim to the English throne, and her French father-in-law, Henry II, made this claim on her behalf. Mary, Queen of Scots never became the queen of England, though her son James did go on to become king of both Scotland and England.